The air was cool when the small group of Thursday Birders headed into the recently opened Ojito de San Antonio Open Space near Cedar Crest. We were greeted by the sound of running water. 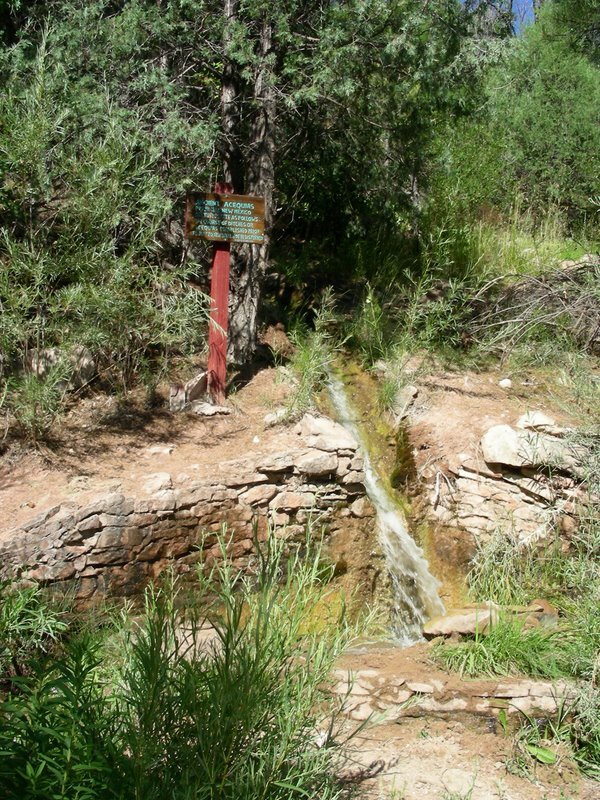 Water, from springs north of the Open Space, flows through a series of acequias that were built in the mid 1800’s to supply water to the original village of San Antonito de Padua. Today as walked through the abandoned trees, we saw Black-headed Grosbeak, American Robin, House Finch, Spotted Towhee, Mountain Chickadees and Lesser Goldfinch. “Watch out for Poison Ivy,” warned Beverly, who teaches herbal medicine. 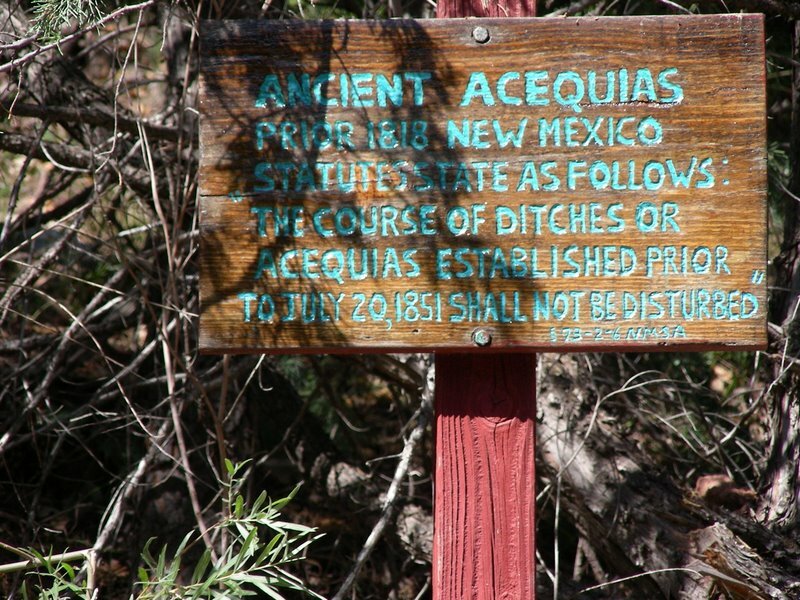 “It is growing rampantly along the acequia up ahead.” None of us realized that Poison Ivy grew in New Mexico and commented on how the western desert sub-species looked from what we had seen in the east. After passing through the riparian area, the trail headed into a transitional pine-spruce habitat where we watched Bushtits chitting in a conifer, and then fly out one by one. A light tapping alerted us to a Juniper Titmouse. We pondered over a fledgling nestled in the needles beneath a tree and decided it was a Canyon Towhee. As we approached the meadow again, the group stopped to watch a vireo flitting in the top of one of the trees. While it possibly could have been one of the Red-eyed Vireos that nested in the area this summer, it might also have been a Warbling Vireo. We wandered under the large Walnut and Willow trees growing along one of the acequias. When I had visited this location a few days prior, it had been alive with bird activity, including a Black-throated Gray Warbler family and vireos. Afterwards Gale, Marge and I headed up to Cienega Canyon. The only bird activity was some Mountain Chickadees and a Turkey Vulture soaring overhead. While Marge decided to stay and eat her lunch at one of the picnic areas, Gale and I decided to try Sulphur Canyon – a good decision. It was good to walk along the paved trail and hear the forest a buzz with bird activity. While ninety percent of the birds were Mountain Chickadees, we saw Plumbeous and Warbling Vireos, White-breasted Nuthatch, Brown Creeper and a Downy Woodpecker. We could hear a Red-breasted Nuthatch, but it never came into view. 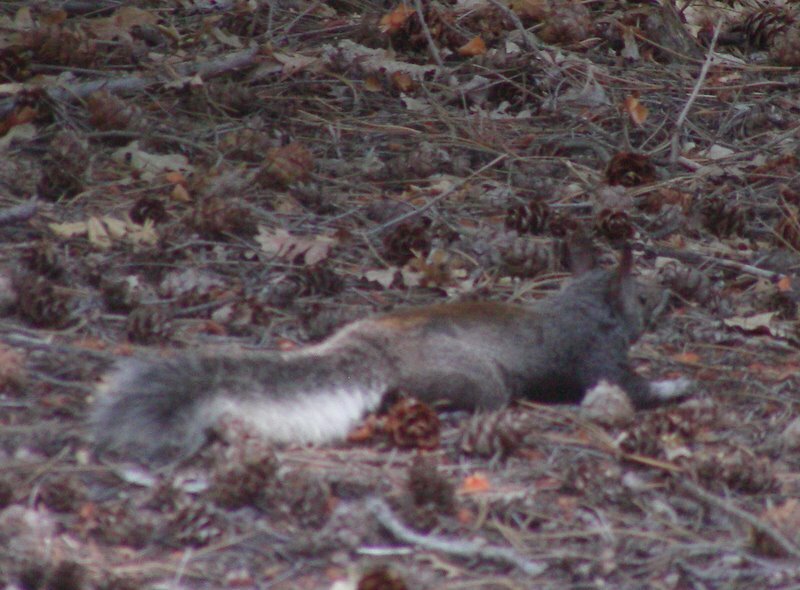 It was fun to watch the antics of a pair of Abert’s Squirrels. Their fluffy, striped tails had a skunkish appearance. We kept listening to a squawk, unsure what was making it. I tried to imitate it, and in doing so realized it was a hawk. As if on cue, an immature Cooper’s Hawk flew onto a branch overhead. In its juvenile way, it continued to announce its presence, while the other birds scolded it from the safety of the dense conifers. It flew to another tree, spoofing a Northern Flicker. As we walked back to the car, the trees surrounding the parking area were a buzz with the sound of Broad-tailed Hummingbirds.